Glazed in black and finished by hand, the Pentagrams are crowned with the secret symbol of the black..
Cufflinks with black and three-dimensional spiders with a faceted Swarovski crystal body. 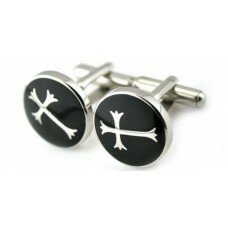 They shine..
Cufflinks in mirror steel and very shiny black enamel in the form of a shield, slightly rounded. 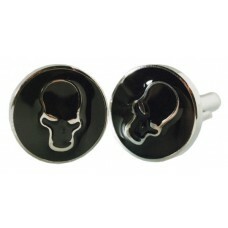 At ..
Cufflinks in polished steel, circular, with slightly convex front in black enamel. 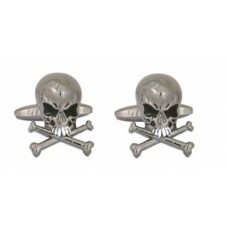 In the center a w..
Cufflinks in steel, ufological or dark or rock representing a 'Dark Presence. The representation is ..
Square cufflinks, dark blue, with the lettering Love (love) and Hate (hate). 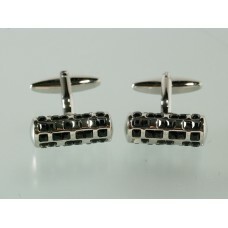 Very used in the world ..
Cufflinks with rhodium finish. They depict the Batman mask, a bit 'three-dimensional, in black opaqu..
English cufflinks, in metal with a very polished rhodium finish. Depicting the Batman brand in shiny..
Cufflinks with eyeballs, very, very realistic. 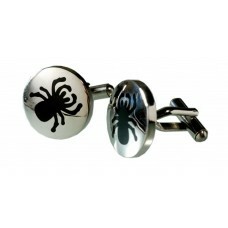 Not only are they three-dimensional, but the transpar..
Steel cufflinks depicting spiders. They are circular, with a slightly rounded surface and the spider..